Welcome to the Tsugi project. Tsugi enables you to quickly build learning tools and integrate them into learning management systems. If you want to use Tsugi tools in your LMS or Google Classroom, you can use the free App Store at TsugiCloud. We host an LTI 1.1 Test Harness which can be used to test various aspects of LTI 1.1. TsugiCLoud - A free hosted server for Tsugi tools. Learning Experiences - A commercially hosted server for Tsugi tools. If you have a production instance of Tsugi and would like to be listed here, please contact me or send a Pull Request for this page via GitHub. Tsugi is a framework that handles much of the low-level detail of building multi-tenant tool that makes use of the IMS Learning Tools Interoperability® (LTI®) and other learning tool interoperability standards. The Tsugi Framework provides library and database code to receive and model all of the incoming LTI data in database tables and sets up a session with the important information about the LMS, user, and course. If you are interested in Supporting the Tsugi Effort, please let us know. Tsugi is currently an incubation project in the Apereo Foundation. Learning Tools Interoperability® (LTI®) is a trademark of IMS Global Learning Consortium, Inc. in the United States and/or other countries. This is an open source effort that is still in active development and evolution. We can use lots of help and financial support. Here are some ways to support Tsugi. Join the Apereo Foundation. Tsugi is an incubating project within Apereo and any support you give to Apereo by joining, participating, and/or coming to Apereo meetings helps the cause of all Apereo projects. Contribute funds to the Apereo Foundation tagged for the Tsugi project. This give us funds to spend on things like students, support travel to meetings, graphic design, etc. If you want to fund Dr. Chuck's research efforts (like a grant) on Tsugi at the University of Michigan School of Information please contact him. 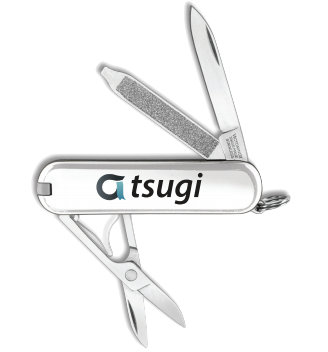 If you are a granting or philanthropic organization interested in improving educational technology and think that Tsugi might be a good addition to your project portfolio, please contact Chuck to get a proposal developed. If you have an educational technology grant and would like to use Tsugi and provide some funds to our project to help make your project a success, it would be much appreciated. Again, contact Chuck. If none of the above make sense to you, just hit the "donate" button below and I will make sure the funds are applied as best appropriate.